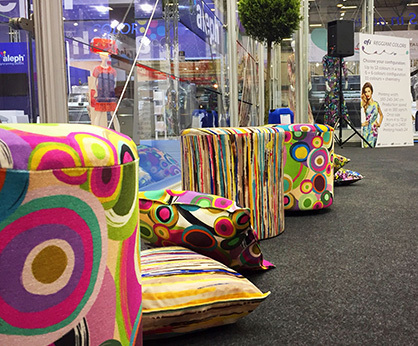 Textile companies can take full advantage of expanded print opportunities with the groundbreaking new EFI™ Reggiani COLORS digital printer which Electronics For Imaging, Inc. (Nasdaq:EFII) is launching at the 14-17 April ITM Exhibition in Istanbul. 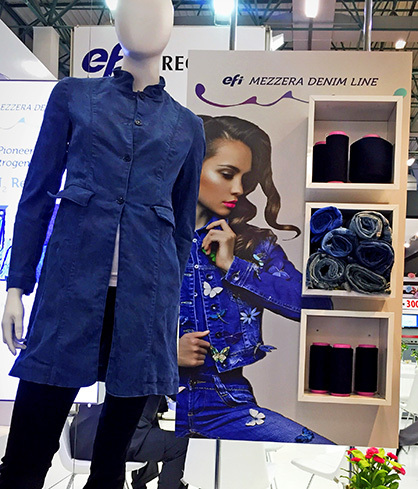 EFI’s exhibit in hall 6, stand 607, also highlights important advances in traditional manufacturing, with new EFI Mezzera technology for more environmentally sustainable dyeing on denim garments. It prints up to 560 square metres per hour, delivering unmatched printing quality and uniformity with an extended colour gamut, superior colour depth and increased penetration into fabric. Users can place the printer’s 12 colours in a high-productivity 6+6 configuration for superior imaging at much faster throughput speeds. An innovative continuous ink recirculation system ensures outstanding reliability and lets users print with a wider variety of inks while reducing purging and maintenance. The EFI Reggiani COLORS digital printer gives users the ability to print nearly any configuration of inks in 180-, 240- and 340-mm widths – including using special inks, inks of different chemistry types, and chemistry for special treatments such as for higher-penetration printing, all at the same time. Plus, a simplified printhead design and proprietary electronics on the printer reduce setup time and streamline maintenance tasks. New EFI Reggiani printing software on the COLORS model allows for real-time image processing, which enhances users’ overall workflow performance. The new product uses nitrogen sealed chambers to improve indigo performance and preserve chemicals. Compared with other denim production technologies, the EFI Mezzera LOOP SLASHER has a 35% smaller footprint and uses 50% less indigo liquor. It also limits the total amount of chemicals needed in denim production, preserving 30% to 40% of hydrosulphite needed in the process for re-use. More News from Reggiani Macchine S.p.A.